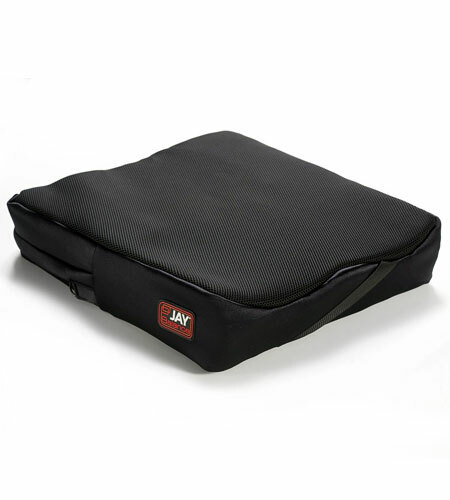 The Jay Balance Wheelchair Cushion For Stability. The perfect Balance between skin protection and stability. The Jay Balance cushion is designed to provide the highest skin protection level with the maximum stability and comfort. New features such as the contoured thick soft foam layer prevents IT and trochanter contacts, whilst the new PLA shape with close wall avoids fluid migration. The new design of the fluid pad and the dual cover system also offers a high degree of skin protection and comfort. Maximum stability and positioning is achieved by the PLA design, that’s based on anthropometric measures. Positioning elements can also be fitted in the inner cover (to address the specific positioning needs of the user). The Balance features a contoured foam base constructed from closed cell foam. Its femoral transition and rear wall help to prevent fluid migration while gently supporting the trochanters and posterior pelvis. The insert is the central piece of the cushion as it envelops the prominent bony areas of the pelvis, maximizing pressure distribution and maintaining skin integrity. The Balance may be ordered with JAY Flow fluid or ROHO air inserts, which conform to each individual‘s shape, adjust to sitting positions, and ensure proper fluid placement beneath bony prominences to help to protect the skin from breakdown. With the optional positioning components the pelvic and thighs can be properly positioned for many clinical applications. 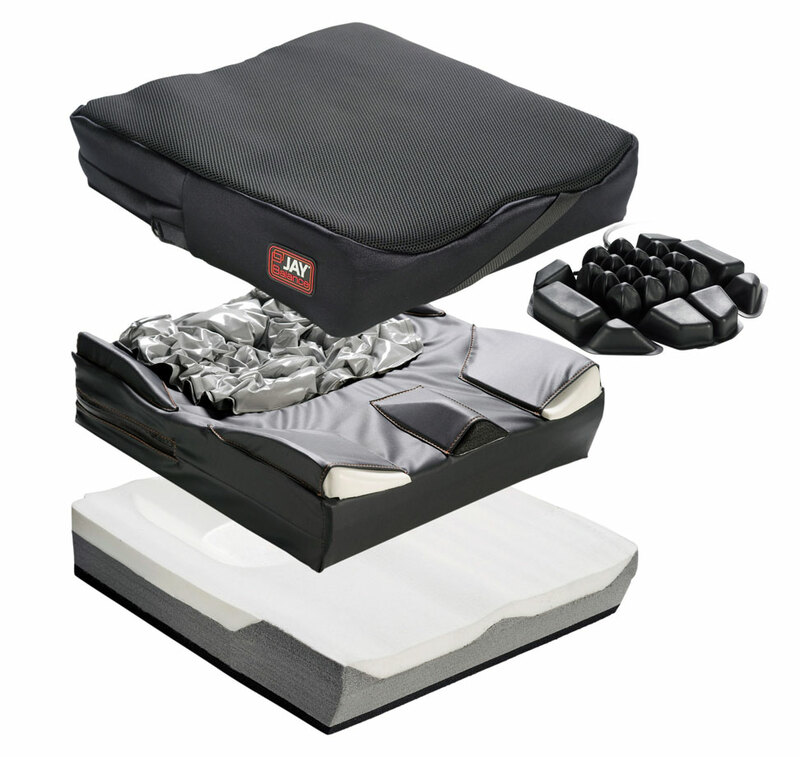 Therefore the BALANCE encourages orthopedic alignment, increases sitting tolerance and accommodates changing user needs. The innovative inner and outer cover balances the requirements of good microclimate and effective incontinence management. The inner cover is water-resistant and easy to wipe and clean, whilst its Aqua-guard zipper and anti-wicking thread ensures that the foam base remains dry. The microclimatic outer cover dissipates heat and moisture for additional skin protection. Optionally the Balance is also available with an outer stretch or incontinent cover. The stretch feature allows positioning elements to be incorporated without creating any surface tension, whilst at the same time lowering the risk of skin breakdown. All covers are machine washable at 60° C and quick to dry. There are three different covers available: Microclimatic, Incontinence and Stretch.